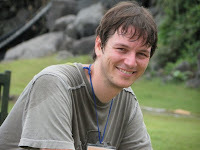 All photos are the work of and property of Mary Natalizia and Kat Smith. There are a lot of things you "must" do if you come to Korea - cultural experiences that you it would be a shame to pass up. Some of these are simple, like eating kimchi or going to a noraebong. Then there are some that are a bigger commitment. This past weekend I went to a templestay, and it was very much a commitment: it was tough physically, mentally, and spiritually. And with commensurate rewards. I'd always meant to go, but never got around to it. But with Lizzie's mother in town visiting, it seemed like I couldn't let the opportunity go by. We rounded up a few friends - Kat, Rachael, and Laura - and booked a weekend stay at Yakcheonsa (약천사), a Korean Zen Buddhist (선도) temple. Zen Buddhism is a mixture of Indian Mahayana Buddhism and Taoism. It began in China, spread to Korea and Japan, and became very popular in the West from the mid 20th century. The essence of Zen is attempting to understand the meaning of life directly, without being misled by logical thought or language. [...] Zen practices are aimed at taking the rational and intellectual mind out of the mental loop, so that the student can become more aware and realise their own Buddha-nature. Students of Zen aim to achieve enlightenment by the way they live, and by mental actions that approach the truth without philosophical thought or intellectual endeavour. 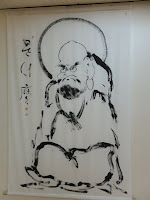 In Korea, Buddhism has been suffering lately. Christianity has become more and more dominant over the years, and many temples were burned by Christian zealots in the 80s and 90s. There is certainly little doubt that most governments have been strongly pro-Christian, with the first President actively working to divide the Buddhist community here. Things seem to have greatly quieted, but Lizzie remarked wryly that Buddhism would always eventually lose, since they don't evangelize. We arrived at the temple very early on Saturday morning, at 7:20. Even though it was so early, the heat of the approaching summer day hung in the air already as we stepped out of the car. Yakcheonsa was one of the largest temples I'd ever seen in Korea, and it loomed up before us from a hillside surrounded by scrub woods, a new hotel, and a few small businesses. The temple is built in three levels: a scree-scattered main quarters built into the side of the hill and topped with two bell-towers, a large courtyard cleared above it with auxiliary buildings and small shrines, and the central temple building. This latter is three big stories tall, and the most brightly-painted and well-kept. While we thought we'd gotten there early, it turns out that the monks rise every morning at 4:00. It was practically the afternoon for them, and they were getting ready to go on a hike. We had just time to drop off our bags and greet one of our hosts, and then we went walking down the hill. We hiked one of the olle trails (올레), the coastal paths maintained by the government that are one of the most popular Jeju attractions. Trail 8 starts quite close to the temple, so they hike it frequently. 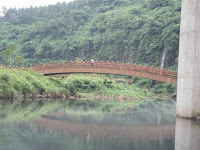 I suppose the hike was intended to help get us in the spirit of the templestay and observing nature and ourselves. I imagine it's also a good cheap way to keep people visiting the temple occupied. The hike started out tolerably enough. The sun was low and we strolled down a dirt path through woods of pine and maple, heading for the coast and then roughly following it. 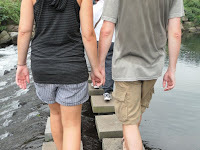 Jeju is a very pleasant place to walk: you can watch the black volcanic rock of the coastline, blue waters and rolling surf, and reclining hills scattered with trees. But the heat! At first it just hung over our heads like a threat of what was to come, thickening the air with moisture and warmth as we hiked. But soon the threat was gone and the reality was upon us. I sweated buckets, soaking through my shirt and crowning me with fat beads of perspiration. 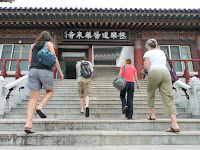 We hiked for five hours, from the temple past Jungmun Beach to the resorts area - where we collapsed. I can only imagine what hell it would have been if the day hadn't been hazy. We slumped against a fence slackly until the temple van picked us up. But the idea that it was lunchtime cheered us - not to mention the van's air conditioning. Once we were back in the temple, we ate a lunch of rice and curry. The only unusual thing was that it was completely vegetarian (no worries there!) and we were admonished that we should waste no food and clean our own bowls, as is traditional. After that hike, there was little grumbling about eating everything. If they had told us we had to eat the entire basin of rice, we probably could have managed. "Come on, girl" said Tanzan at once. Lifting her in his arms, he carried her over the mud. 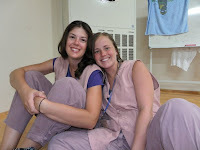 After lunch, we showered and changed into the temple clothes. The provided garments are a pair of baggy pants tied with a string and a loose vest, closed at the front with three "buttons" of knotted fabric. Men and women wear the same salmon color. They were comfortable. They split up our group into men and women during the night - or rather man and women, since it was five women and myself. But I noticed an astonishing lack of decorum over the weekend. Normally Korean people tend to dress very conservatively and be exceedingly shy about showing skin anywhere except their legs, exposed in nonexistent miniskirts. But at the temple I saw teenaged girls just turn their backs and strip off their shirts and bras to change, something that sent me scurrying from the room cursing. For girls who probably would refuse to wear anything less than jeans and two shirts to the beach, it was bizarre. 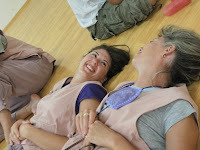 We were offered a special brief class on Zen meditation (usually called zazen but in Korean "선명상") by one of the monks, a leathery man with a quick smile who was always gesturing with his woven fan. He was a calm and patient instructor. The method wasn't different from what I knew of Shoto Zen - in its whole, you concentrate on sitting with mindfulness (마음챙김) in the proper posture. The posture was a little difficult, especially for people unused to it: the lotus position or half-lotus can really hurt your ankles and hips. But we persevered, meditating while mentally proceeding through a simple mantra of sequential numbers. I lost myself; when we finished, my legs were as numb as wood. Almost immediately, we were ushered in to a different room to learn to perform the traditional tea ceremony (다도). Like so many traditions of Zen monks and laypeople, it is a deeply ritualized and symbolic practice. Everything has a name and a proper place at every stage in the ceremony, and there's usually a reason. First the cups and bowls are cleaned in a series of precise steps. Then hot water is added to the cooling bowl for a minute; the teapot lid is removed and placed on a special stand; water is poured into the teapot and tea is added with a hollowed bamboo scoop; lid is replaced; after a minute, tea is poured out in halves, first to last and then last to first, so that the tea is even in taste and temperature. The tea is smelt, and then drunk in three sips. After three repetitions of steeping, the tea leaves are removed with a special spoon. Then the tea set is cleaned in a similarly ritualistic fashion. 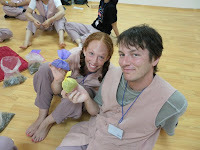 After the tea ceremony, we were told it was time for crafts. Lizzie had been anticipating this since the beginning, and I soon learned why. When we were set to making sachets, which apparently are small bags that hold potpourri, mine was clumsy and executed exactly according to directions. But Lizzie's had her initials stitched on the side and was constructed with a series of fancy sewing tricks - it was easily the best. We were also given a second project, stringing a bracelet of wooden beads. In this case, my results were just as impressive as Lizzie's. At dinnertime, we ate in a special way. It was the way Zen monks traditionally ate, called 발우공양 ("Mindful Bowl") but often known by the Japanese 応量器 ("Just-Enough"). We sat in long rows, and each received a set of bowls tied with a cloth. Our cushions and bowls were placed precisely. We unwrapped our bowls, laid out mats, unwrapped utensils, and set out our four bowls in front of us. Everything was done with care and holding our hands a certain way; for example, each bowl was picked up by placing our thumbs inside and pressing outward while we lifted. The bowls were ritually cleaned, and then we got our food. We were admonished that it was absolutely vital not to take more than we could eat, as there could not be a scrap of food remaining when we were finished. 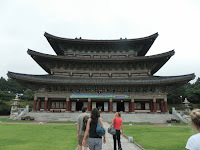 The monks chanted prayers before we ate, joined by those who could read Korean. Rice went in the big bowl (the "Buddha bowl"), a handful of vegetables and kimchi in a smaller, a ladle of seaweed soup in the third, and the smallest had a small amount of water. Nothing could be mixed between bowls. There was to be no talking from the beginning to the end (everyone broke this rule, asking, "Which bowl? Where?") and even eating was to be as quiet as possible. The idea was to eat with care and appreciation for the process of eating and the food. When finished, water was poured into the Buddha bowl and it was scraped with a radish, then the water was poured into the smaller bowl which was scraped, and so on. At the last bowl, you eat the radish and drink the water, leaving clean bowls and without even a fragment of pepper wasted (ideally). Evening prayer and a DVD about the life of the Buddha concluded the day. Prayer was beautiful and simple. While the monks chanted the sutras, they tapped a gourd gently, signaling prostration. 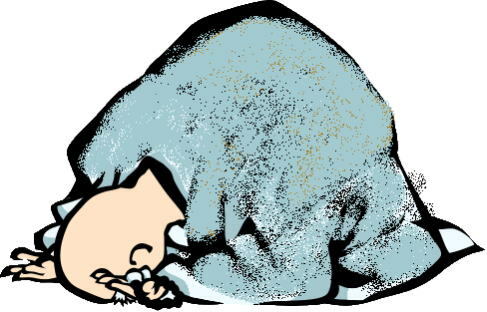 This prostrate bow was difficult for me: standing in front of the cushion, you sink to your knees with hands in prayer position, then prostrate yourself with your face to the floor, folding yourself over your legs. You rest your elbows on the ground while you raise your hands to just above your head. Then you rise to your knees, sitting back on your feet for a moment, before coming back to a standing position. I very much disliked this practice. Not only was it physically very hard, I also didn't agree with it ideologically. We were told that we were not worshiping the Buddha, but rather our own Buddha-nature. Still, we were prostrating ourselves in front of a giant golden statue while chanting, and it was hard not to feel that I was betraying my ideals a little. After a period of meditation, we went to bed at 9:00. We rose in the morning at 4:00. I'd slept like the dead, stretched out on the floor on a blanket amidst a dozen other men and boys. I was ready for a day (well, it was still night really) of mindfulness. First was morning prayer, which was almost exactly like evening prayer. We had time a little later to take a look around the temple, though. 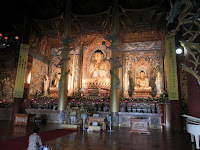 Yakcheonsa is particularly renowned for their collection of 18,000 statues of the Buddha. They are in cases on the second floor of the temple, row after row of illuminated shining little statues. If it hadn't been so hot, I'm sure I would have been impressed. But I was hot. I was very, very hot. After morning prayer we'd had to do the 108배 대참회 ("108 Bows"). It was a very simple but arduous ritual. One monk chanted. The other tapped the gourd every three seconds. At every tap, we either prostrated ourselves or rose up. This was repeated 108 times. There was a puddle of sweat in front of me, but I didn't give up until I was physically incapable of doing it any more. It was essentially calisthenics as prayer. Difficult calisthenics. Thankfully, we were afforded breakfast and a rest after our exertions. We were able to relax in the air-conditioned room, and walk around for a bit to take a look at some of the smaller shrines. Of particular interest was the cave shrine, a small shrine with a single stone statue. This was the first shrine at the site. The first Master of the temple build Yakcheonsa there in honor of the cave-shrine, and dedicated the new building with one million bows - executed five thousand a day for years. It put my own attempts at bows in perspective. Let me take a moment to advise against oversleeping the morning of a templestay and forgetting to bring sneakers. After six hours of hiking this past weekend, my feet have bloody holes rubbed into them by the straps of my flip-flops. It was very annoying, and I was scared of slipping - it would be hard to explain how you hurt yourself on a Zen retreat, since it's not customarily a full-contact hobby. We returned to the temple after the hike and wrote brief evaluations of each other, a requirement that our group fulfilled by writing funny and fond notes. And then after a brief closing ceremony, we changed back into our normal clothes, and that was the end. It was almost jarring in its quickness. Leaving Yakcheonsa, we drove a short distance to Gecko's, probably the most popular restaurant in the south of the island since it has decent Western food. 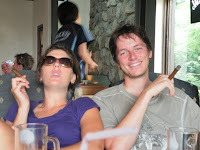 We celebrated a weekend of spiritual enlightenment by eating enormous veggie burgers, drinking icy mugs of beer, and smoking Cuban cigars. I've always been fascinated by Zen thought, reading the works of Seung Sahn and Shunryu Suzuki and ancient books of koans. It's hard to articulate exactly how happy I am to have been able to learn proper Zen posture, proper meditation, proper eating, proper mindfulness. Some aspects may have been rough, but it's not an experience I'd ever give up. Mindfulness is one of the best traits a person can cultivate. Thinking about what you're doing, saying, feeling. You have to remember to ask yourself the questions of why and how. Experiencing each thing in its wholeness is a way to make your life better in almost every way. Food tastes better. The air is richer. Everyone needs time for reflection, be it in the lotus position or not. That's awesome. I would love to do something like that. "Something that sent me scurrying from the room cursing," - BWA HA HA HA HA! Picturing that scene, amuses me greatly. It made me laugh. I needed that today. It's been fun reading some of your blogs. You're a good writer and thank you for sharing your experiences. I'd been particularly interested in temple stays and what they are like... So, thanks for elaborating on your experience.